Recent college grads. Career changers. Retirees. Work flexibility is something that almost every employee can use at some point in their life. But when you think of flex, most likely working parents (and in particular, working mothers) come to mind. And there’s good reason for that. Perhaps no greater segment of the working population can benefit from work flex like working moms can. 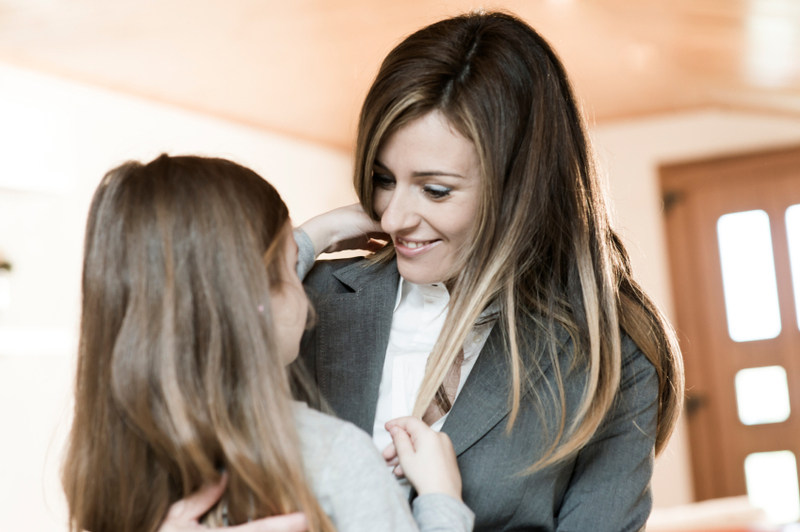 With Mother’s Day coming up this weekend, here are just five reasons why moms need work flexibility. You can be the mom you want to be. If you’ve ever seen a working mom crying in her cubicle, you can bet it’s because she’s got a sick child at home or she’s missing another child’s milestone. Having a flexible schedule means that a working mom can attend her children’s events—from soccer to her in-class birthday party—and not fall behind on her deadlines, either. You can take care of yourself—and your pregnancy. When you’re pregnant, you have to go to the OB/GYN. A lot. If you’re having a healthy pregnancy, you can plan on going to the OB at least 15 times or so before you have your baby. Unfortunately, a lot of those appointments fall smack dab in the middle of the workday. Not only can this cause stress, (e.g., hoping that your boss doesn’t get upset that you’re going to the doctor AGAIN), but it can leave you juggling your work assignments, too. Working remotely allows you to take care of yourself (and your burgeoning bump) by attending all of your doctors’ visits without having to take personal days—and potentially lose money. You can be a caregiver. There’s no doubt about it: the Sandwich Generation is growing. It’s currently estimated that there are over 10 million people who are caring for an aging loved one. While you want to be there for your older Dad, Mom or other relative, you still have to be at the office, too. Having a telecommuting job reduces the stress that having an aging parent already places on you, without the added worry of possibly losing your job because you’re always coming into work late so you can take your loved one to his weekly appointments. You can continue working in your career. For many working women who also happen to be mothers, having to choose between work and raising family is a truly difficult decision. In the past, it was an all-or-nothing choice: you either continued working (and put your baby in daycare) or you stayed at home and said farewell to the job (and career) you worked so hard to build. Work flexibility has created a bridge between the two worlds, illustrating how the workplace has adapted to allow working moms to continue working, while raising the children they adore—all at the same time. You can keep yourself sharp—and prevent pay loss. Let’s say that you’ve been in your career for a decade or so, working dutifully in your office job and struggling to take care of your family, too. You’re stressed. You’re miserable. One day, you decide to ditch the office job and be home to raise your children. You do this until they’re big enough to be in school full-time and you’re ready to onramp back into the workforce. You’re stunned to discover that not only are you having a super difficult time finding a job, but when you are offered a position, your earnings potential has plummeted as well. Stepping away from the workplace can have a major impact on the types of job you’ll be qualified for, as well as your compensation. Being able to continue working, either in a remote position, part-time job, or even as a freelancer, can not only keep your skills sharp and your resume updated, but it can also keep your salary competitive, too. Working mothers need workplace flexibility for a myriad of reasons. Not only can it help moms care for their immediate and extended family, but it can also help women transition into motherhood, too. By working flexibly, working moms are able to continue on in the careers that they love and take care of their families—and all on their terms. This Mother’s Day, show your support for moms by joining the 1 Million for Work Flexibility movement!